Virtual reality or VR for short is the next big thing in consumer technology and although not consider a new concept overall, it’s certainly new when it comes to taking pride of place inside the regular home. As you can imagine, virtual reality requires a pretty demanding system to operate optimally and with the HTC Vive and Oculus Rift leading the charge on consumer VR headsets, the specifications they require add an extra cost that not everyone may be willing to pay. 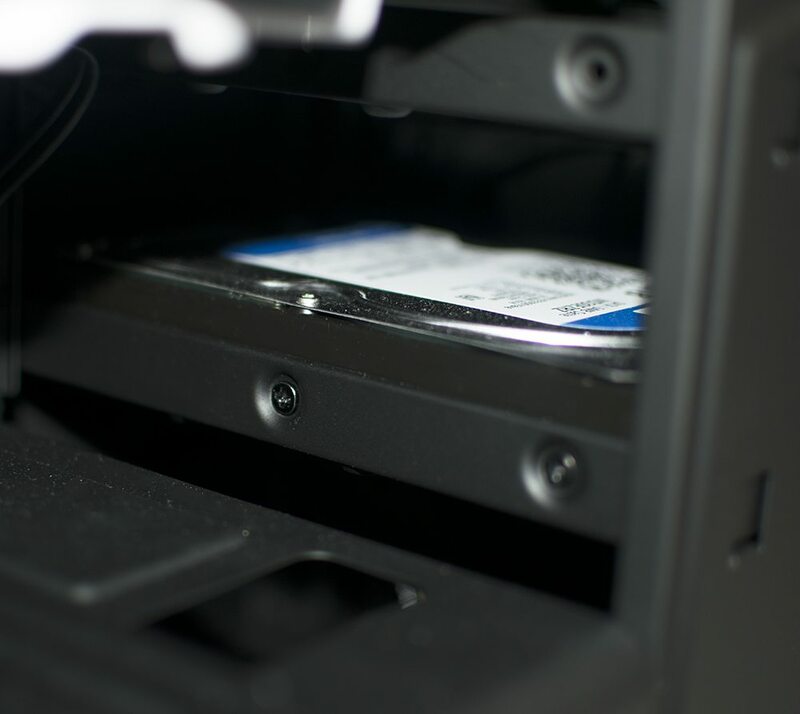 Whether you have a plethora of cash to throw at VR and a new gaming system or an upgrade to make your current rig VR ready, there are options available that don’t cost the earth. One of those options is the Zoostorm StormForce Cyclone VR ready gaming system which not only costs a modest £1200, but it meets the minimum specifications needed by the HTC Vive and the Oculus Rift VR headsets. If you look at the specifications that the HTC Vive requires (CLICK HERE), the StormForce Cyclone certainly meets those requirements and then some. 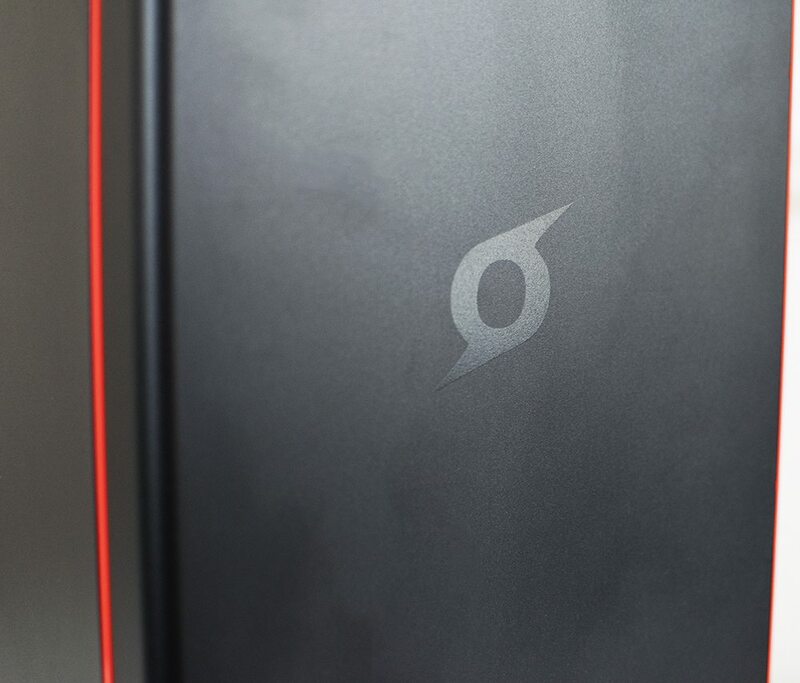 So what makes the Zoostorm Cyclone gaming PC so special and what’s all this fuss about? 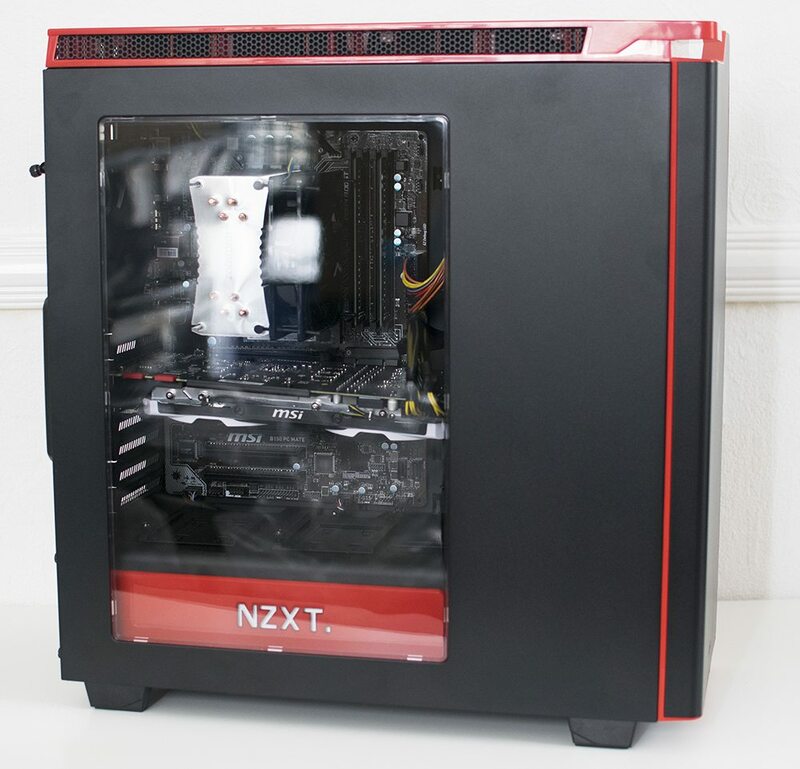 Starting with the chosen case, this VR Ready gaming system comes housed inside the stylish red and black NZXT H442 which was released in 2015. 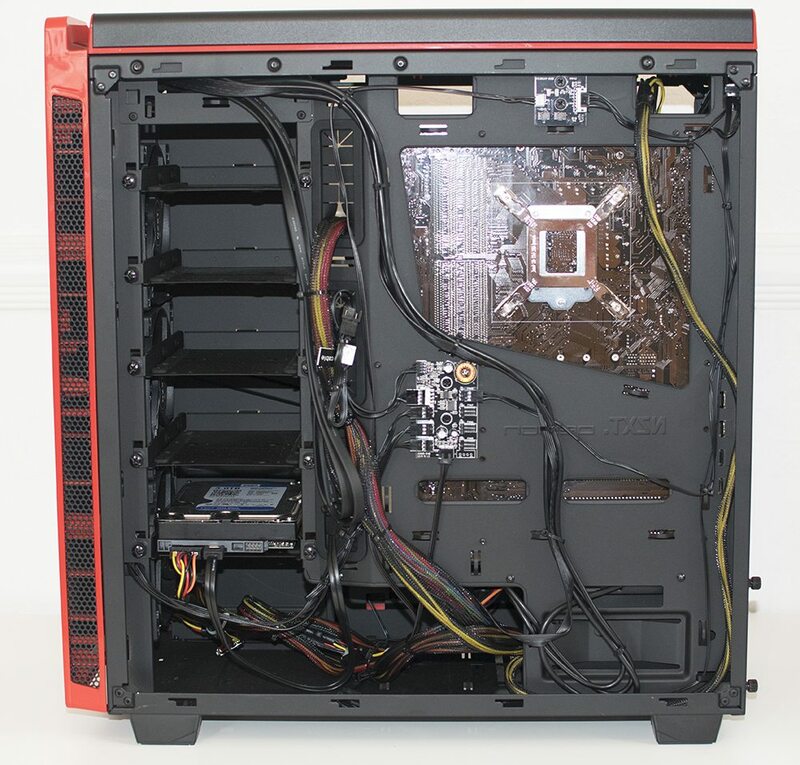 With a fully-fledged PSU cover and a large viewing window, it shows off the interior of the Cyclone in all its glory. 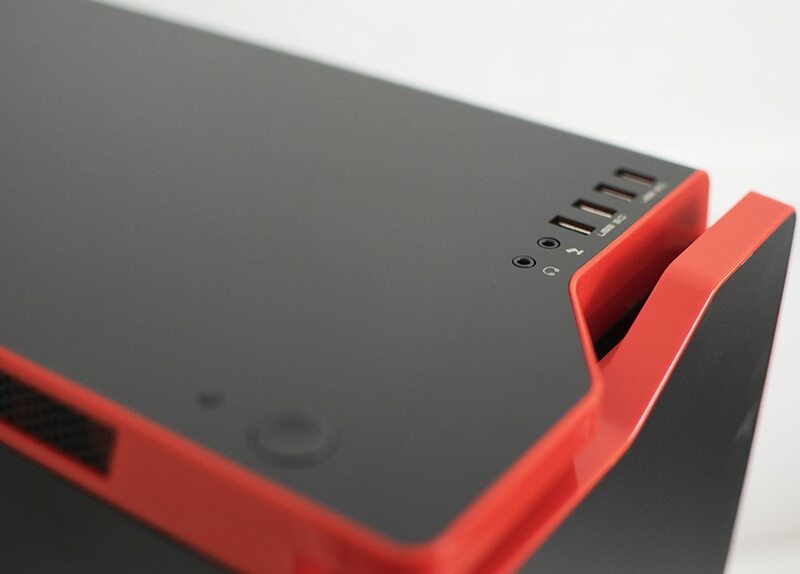 The NZXT H442 features a front I/O panel on the top of the case consisting of 2 x USB 3.0 ports, 2 x USB 2.0 ports, a headphone jack and a microphone jack (both 3.5mm) as well as a power and reset button on the opposite side. 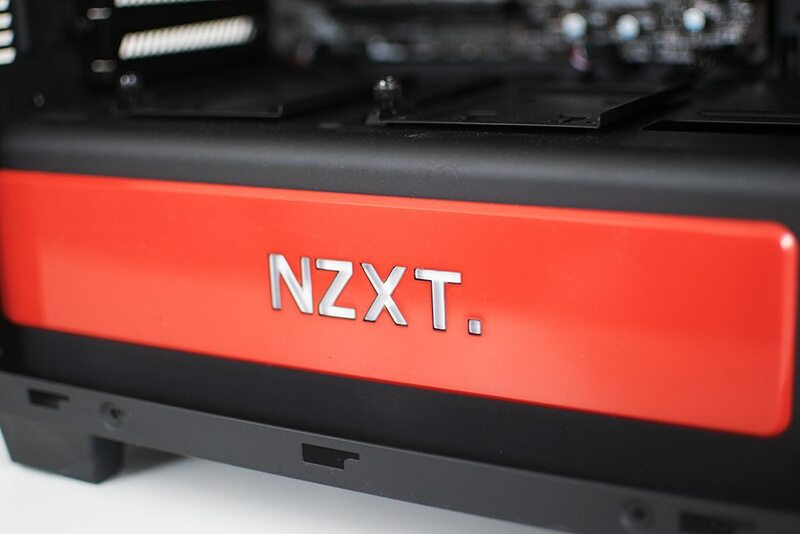 As previously mentioned, the NZXT H442 has a large PSU cover which not only makes the case look neat and tidy, but the NZXT logo illuminates when powered on. Upon removing the side panel, we are greeted with the bread and butter of the system; the components. Starting off, the Zoostorm Cyclone comes with a singular MSI GTX 980 with a white and black cooler (OC Armour edition). This particular graphics card is based on NVIDIA’s Maxwell architecture and is a behemoth for 1080p gaming, as well as an adequate choice for gaming 1440p resolutions also due to its 3GB of GDDR5 VRAM. Storage wise, the Zoostorm StormForce Cyclone has 2 different drives; a 256GB SanDisk Z400S M.2 2280 SSD which has Windows 10 pre-installed and a 3TB WD Blue hard drive designed for top class storage. 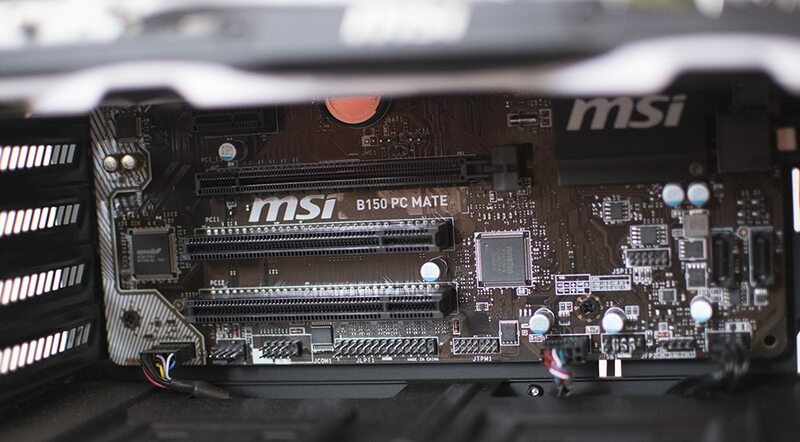 The catalyst that brings all of the chosen components together is the MSI B150 PC Mate which although is a budget motherboard, still offers everything you could need for this system and then some. The Intel Core i7 6700 included is the non-K version, so a £300 Maximus VIII Extreme would be wasted on such components and the PC Mate fits in with the overall theme of the Cyclone; performance at a great price. 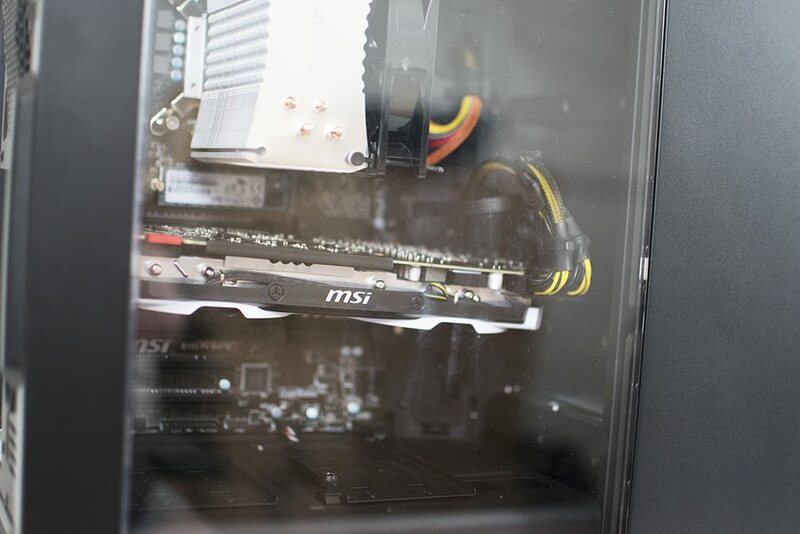 Although often forgotten when buying a pre-built PC, good cable management is a must in my opinion and this can set apart a good builder, from a bad one. 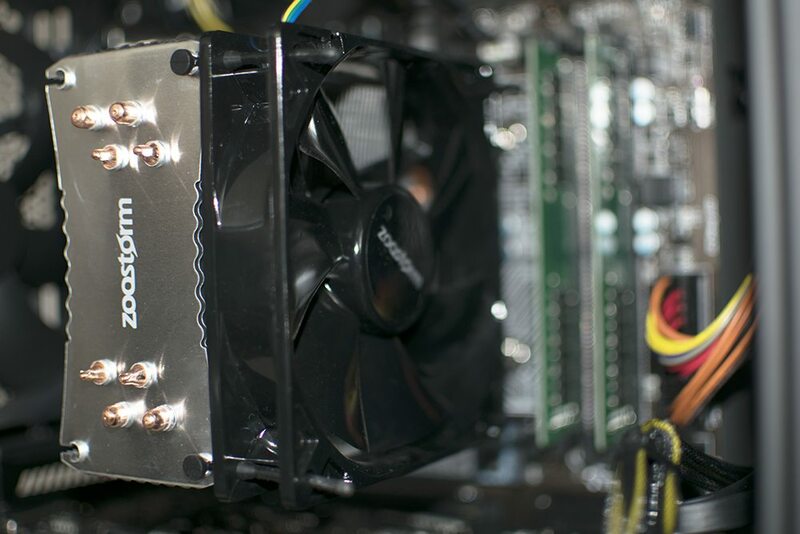 With non-modular power supplies such as the basic FSP 500w 85+ included with this system, but Zoostorm has done an impeccable job of keeping everything nice and neat. We have decided to compare the Zoostorm StormForce Cyclone against a recently reviewed system from PC Specialist; the Orion Nano. The Cyclone is around £50 cheaper than the Nano, but it will be interesting to see how it compares in terms of value for money and of course, performance. Previous article360 MILLION Myspace Accounts Leaked! Next articleOverwatch Banhammer Runs Wild!